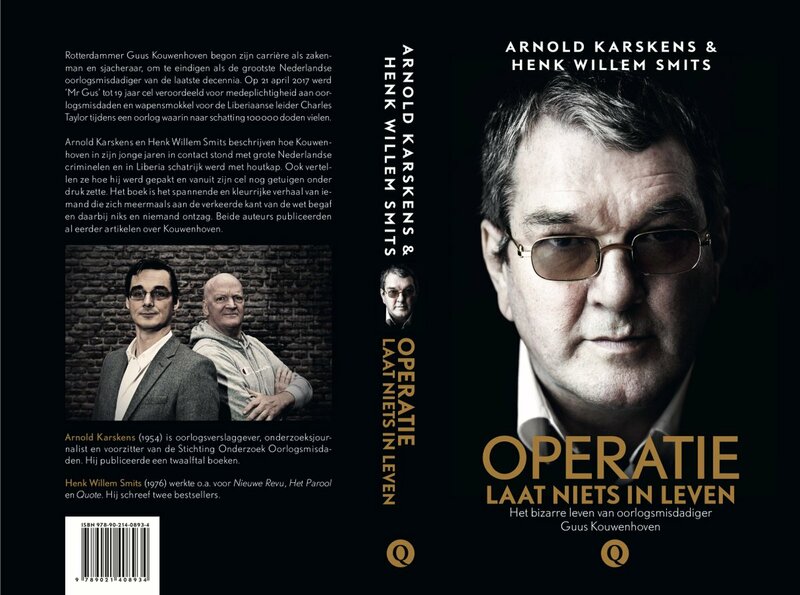 Two Dutch journalists, Arnold Karskens and Henk Willem Smits, focus in this book on the Dutch businessman Guus Kouwenhoven (or mr. Gus). What is so special about this man that two journalist have followed this man over a period of many years, have delved into archives, have talked with the man himself and many others? Mr. Gus is a man who has an eye for a good business deal. He did not want to be limited by the Dutch borders. At a young age he could be found in the Near East and the Far East trying to set up businesses. He went broke and some time later he was arrested, tried and sentenced in the United States of America for trying to sell stolen paintings. After this eventful time he focuses on West Africa, starts trading in Sierra Leone, gets involved in the hospitality industry, expands into Liberia, also in the hospitality industry. He runs the famous and luxurious Hotel Africa. The name of mr. Gus gets mentioned in dossiers on drugs deals, involving Liberia. A few years later he is even mentioned in a sanction by the UN Security Council concerning arms trade and blood diamonds. In Liberia mr. Gus gets involved with Charles Taylor, together they own a logging company, a lucrative business and a cover-up for arms trade. In 2003 the UN decides that this logging company needs to be closed. In great detail and backed by documents Karskens and Smits follow the trails of mr. Gus that eventually leads to his conviction by a Dutch court in 2017. He needs to spend 19 years in prison for illegal arms trade and participation in war crimes. in Liberia and Guinea (between 2000 and 2003). At that time mr. Gus cannot be arrested for he is on the run. He was living in South Africa at the time of his conviction and still lives there. The South African courts have not yet made a decision to extradite him. For the time being he has house arrest and he has to present himself three times a week at the local police headquarters. So the book ends, but the case has not ended. The writers have added to their well written and researched book : a time line (summarizing the main events); a list of the most important people / organizations (with additional information); notes; bibliography (including the names of people contacted); list of illustrations; indexes. A translation into English and French would be important for people in the mentioned West African countries.